Welcome to Day 5, if you are just arriving for the first time all the details and the linkup can be found HERE! Today my guest is Altenew! Altenew is sponsoring a $30 gift card. What a great array of design ideas. Must get busy RIGHT NOW!! So many pretty and elegant tags. My fave is Michele's poinsettia tag. 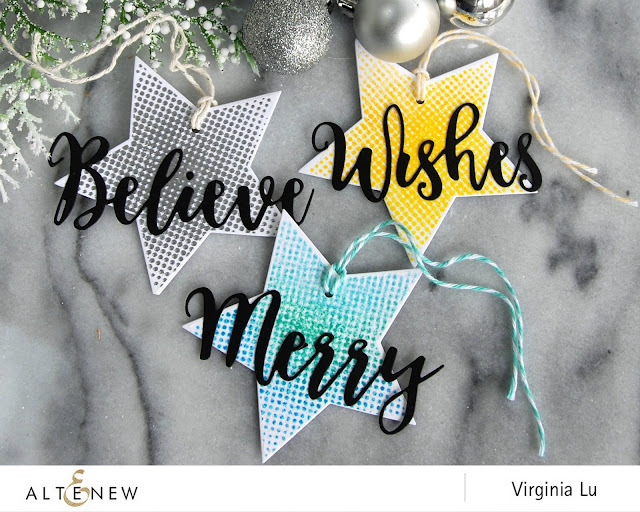 Love the festive simplicity of Erum's tag and Virginia's tags, as well as the kraft tag by Svitlana. Wonderful inspiration! More beautiful tags, but I have to say that my eye is attracted to Erum's stunning CAS design. I have pinned this and can see some of these in my future. I have to note that it was hard to decide between hers and Virginia's tags. I have also pinned these as they are so cute and simple and I think quick to reproduce. Thanks for the awesome ideas ladies. So much creativity!! The tags and cards are beautiful! Love seeing what Altenew DT came up with...your embossed tag is so elegant. So much inspiration today. 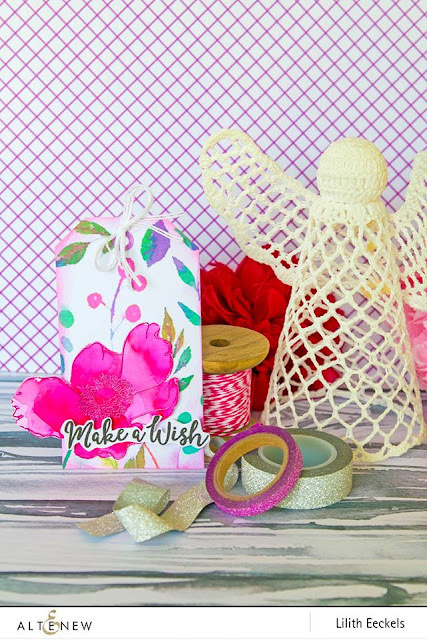 I am headed to my craft room. Going to jump in and start creating tags for this!!! This will be my first year as I have just discovered your annual event. (I know, I know.... got to come out from that rock more often)! Big wink! Love, love, love the tags today. 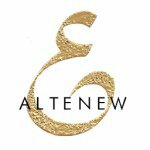 Altenew is one of my very favorite brands. And I love the tags the DT have made! I love the variety of styles we see each day! All so beautiful! I may have inadvertently put my previous day's comment here, but oh well...all the festive goodness is addling my brain! In any event, I'm dazzled by the gorgeous tags featuring Altenew products! Stars and poinsettias catching my eye this time! Oh MERCY Tracey, this is FUN! (I am a pinning fool again today! LOL) Love Altenew! Opting for the star and paint splatter of the first tag for today's inspiration. Tracey, you are a dear for continuing this tag hop-a-long. You have many many appreciative followers who are drawing enjoyment and inspiration from the loveliness each day. Two thumbs up for all the tags and designers. All such wonderful creations. I especially love Michele Ferguson's gold embossed, colored pencil poinsettia tag. Also love the simplicity of Svitlana Shayevich's pine branch tag. Really eye catching!! Stars and Christmas go hand in hand! Love the variety of stars -- so many great ideas to pick from. Beautiful tags by everyone, love the kraft tag and the last one with the red poinsettia! I love Michele Ferguson’s poinsettia tag, very elegant. So much inspiration today. Beautiful tags. Beautiful tags! I'm inspired by Michelle's tag and the star ones! Beautiful selection of tags with lovely color combos! I'm especially smitten with Erin's, Svitlana's & Michele's! So inspiring! Love all the Altenew tags, especially Svitlana's. But the contribution at the end is so charming and such a nice addition. Thank you so much for featuring Altenew!! This is truly a spec-TAG-cular event, Tracey! Thank you very much for all your hard work!! Thanks for continuing to inspire us with these tags. Never seen a shaker tag before. Just lovely. So many fabulous designs. Such a plethora of inspiration! Thank you all for sharing your creative talents with us. 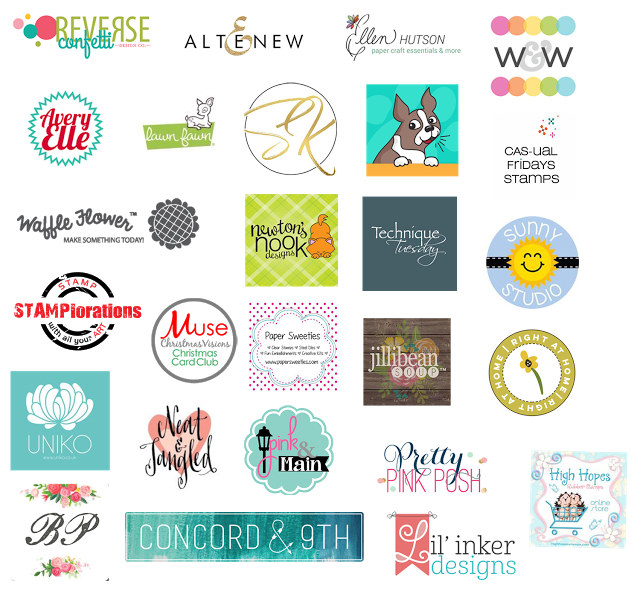 Altnew has so many fabulous stamps, and this is such a great way to get to see what's new with all these amazing companies. Bless you for orchestrating all of this fabulosity for us all! Beautiful tags ladies. I love the star shapes... the shaker tags are so cool! Tracey, your poinsettia is gorgeous! 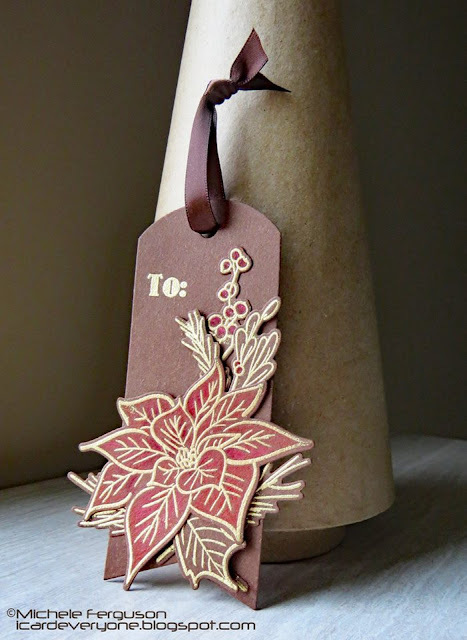 Love the star tags and the beautiful poinsettia tag! The shaker tags are so fun! I really love the star shaker tags! Cute idea! Lovely tags by everyone. 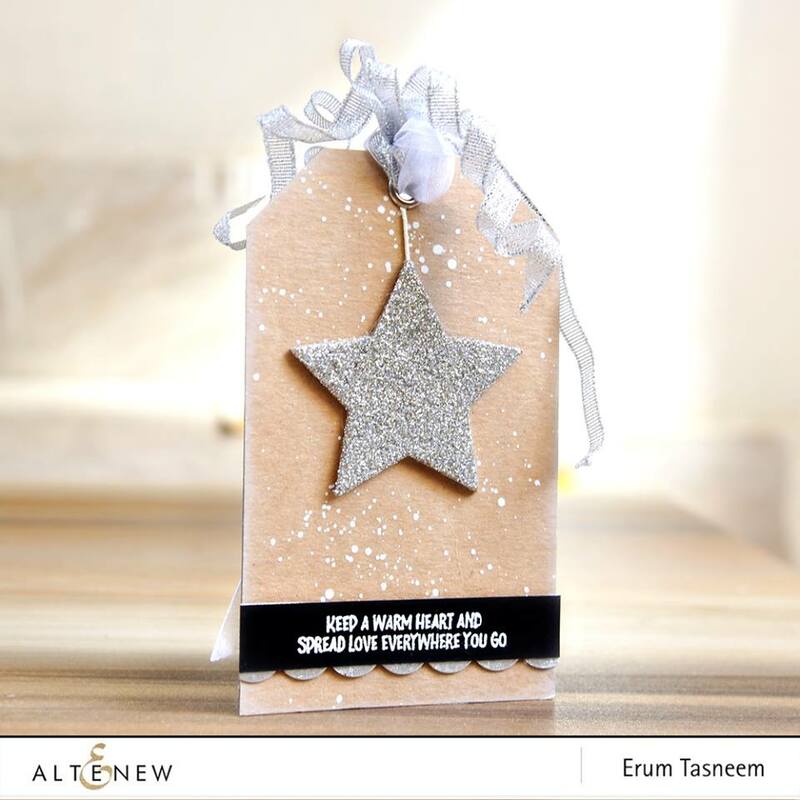 I am specially inspired by the new Altenew embossing powders. I see some used here and they looks stunning! So much gorgeous colour and bling! All beautiful! So stylish and beautiful creations by everyone! Hard to say which I love most! I'm obsessed with Enza's shaker tags, so neat! Can't wait to try that out this holiday season. 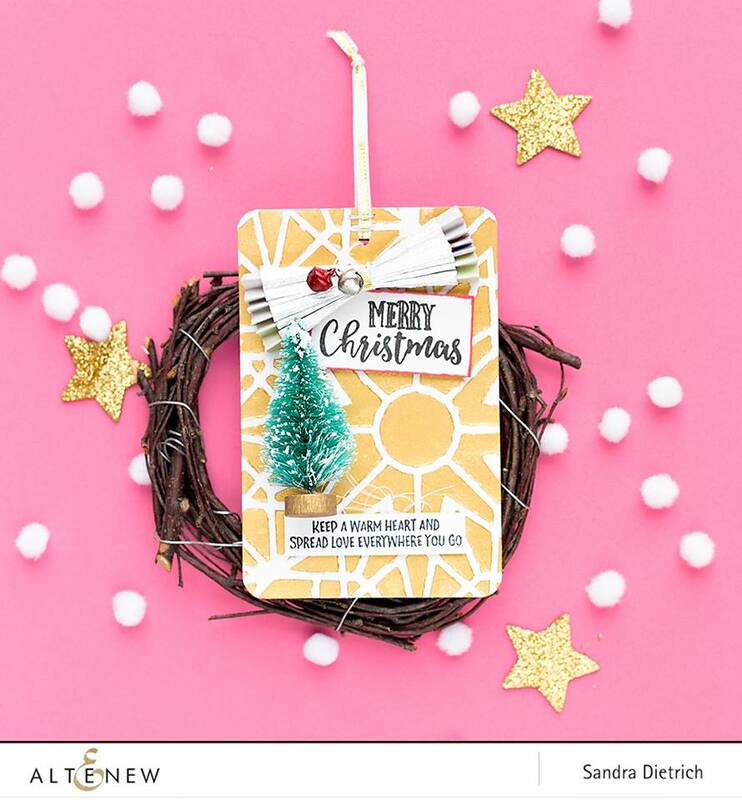 Everybody is so talented creating these Christmas tags ! Looking to make a few more homemade touches to my gifts this year for family and my girfriend, and these are awesome. Virginia's are definitely a must try for me. Such a wealth of creativitiy!!! Love the simplicity. Love Enza’s Color choices and Michelle’s elegance!!!! Beautiful, as Altenew always is!! a great collection of tags! thanks for sharing!! A beautiful job of tag making by the Altenew DT. With all the colors of Christmas I was taken by Svetlana's and Michele's more neutral color schemes. Michelle Ferguson's tag inspired me the most of all of the wonderful tags shown today. 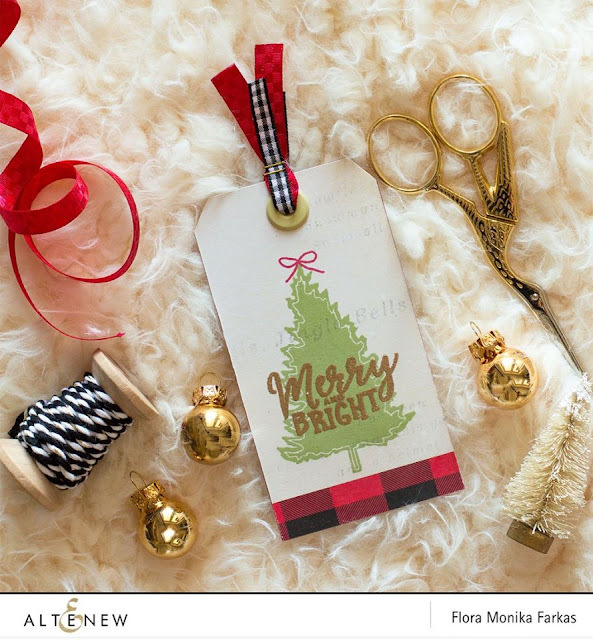 I never would have thought of using brown with gold embossed images for a Christmas tag. It is absolutely stunning, though, and now I have to try it! Wow these tags are super gorgeous!!! Very elegance tags from everyone.They are inspiration thanks for sharing. What wonderful designs. I especially love Michele’s poinsettia tag. Love all this Altenew beauty and elegance! Another day of gorgeous tags! Wouldn't expect anything less from the Altenew DT!! I have 2 favourites today. The star shakers by Enza have a great colour combination and are just so fun and that gorgeous tag by Svitlana. So simple but so beautiful!! 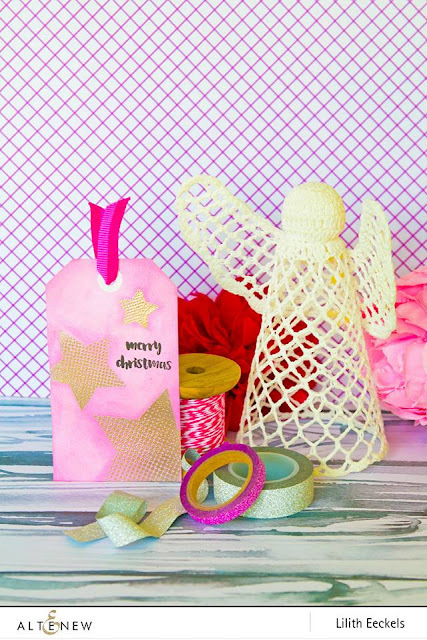 I love the star tag/shaker.......I am not sure I have any star dies....what a cute ornament for the tree ...or to just hang.....Holiday Hugs! All the tags are beautiful, I love them all. If I had to pick a favorite, I guess it would be the poinsettia tag. So many pretty tags! I love the tags by Svitlana and Michelle. Beautiful tags one and all. I love the elegance and simplicity of the one by Michele Ferguson, this inspires me to do a bit of embossing on some tags, it gives it such a classy look. ooohhh...gotta love Altenew. Love the classic elegance of their designs. Love that Season's Greetings tag ... inspired to try clean, simple designs! Great fun and amazing inspirations. Thank you for allowing me to participate in the game. What amazing designs!! Once again I cannot pick a favorite!! Love those patterned stars - they make great tags! Fun and festive tags, beautiful Altenew designs. 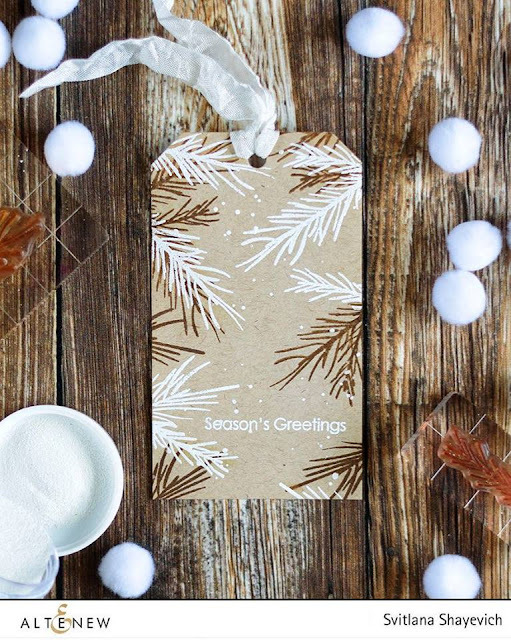 I’m drawn to the white and brown pine needles on Kraft by Svitlana and who can resist a shaker star tag! Oh, man...that kraft tag with the white and brown pine is simply a show stopper. Love all the Altenew designs...so clean and fresh! Love all the elegant and fun tags by Altenew! 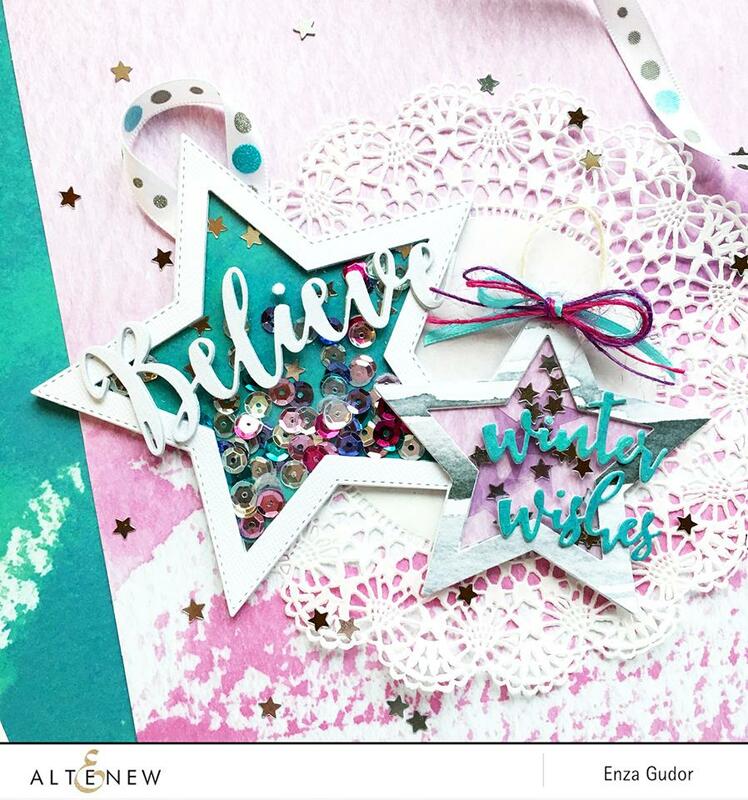 Using the star dies and stamps is a great idea. Amazing assortment of tags...love Michele's gold embossed poinsettia, it's so elegant! Awesome assortment of tags! Something for every style! Love the Halftone Stars set. I like Virginia's set and will have to give it a try. 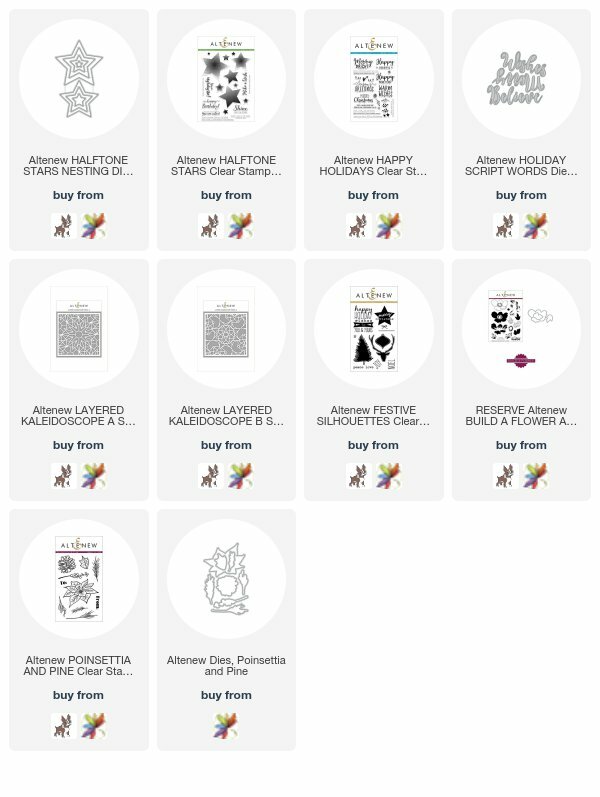 The halftone stars nesting dies are amazing! So versatile! Fabulous tags - Michele's poinsettia tag is my favorite. I cant believe how much i am getting done with all of this wonder talent sharing their creativeness! Gorgeous tags! I love Altenew!!! I especially liked Svitlana's tag---so rustic and pretty! And Virginia's star tags are super fun too!!! Love the stars and poinsettia. Love Monika Farkas's...just can't get enough palids. I chose to use Svitlana's tag as my inspiration! It reminded me of a tag I made earlier this year, so of course, I loved it! All the tags are lovely but I chose Flora's tag as my inspiration. I love the glitz of erum’s Tag and I may have swooned over Michele’s beautiful tag!! especially love the CAS tag by Erum! very pretty tags again from everyone! So many great tags! I see stars in my future...especially colored ones with bold words. boy, those halftone stars are perfect for tags I see! They are so elegant and festive tags! Another great day of Tag designs! I love the shaker stars by Enzo G. And the lovely Poinsettia by Michelle F. Thanks for sharing. I totally swiped Michele's colors for my tag and just love the way it turned out.